Family Crest, Coat of Arms - Free to view your family crest, coat of arms, shield, symbol, design, pattern, tartan, picture, template, tattoo, surname, heraldry, clipart, heraldic. Worldwide graphics with Irish, German, Scottish, Italian, Spanish, English, Welsh, UK, Canada, Australia and America. Free view of the picture with history, meaning, name, genealogy, national, last name, authority, artist, medieval. Printable! Free search online to help your research! April 2015: Our Free Family Crest Generator is greatly upgraded and expanded. Now the worlds most popular online Coat of Arms Creator! 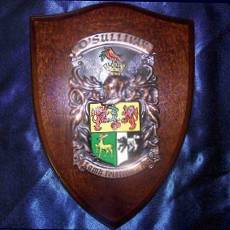 COAT OF ARMS FAMILY CREST! What is the difference between a Family Crest and a Coat of Arms? There is no difference! This is not an easy question to answer because it depends on your point of view. Historically the 'crest' was usually the charge (the lion, sword, crescent or other heraldic device) that was placed above the heraldic shield. 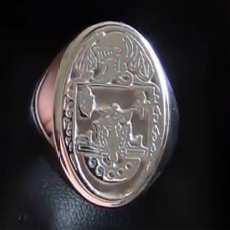 When it was displayed on its own it often became known as the 'family crest'. A Coat of Arms has historically referred to the full 'Achievement', meaning the shield, side-ribbons (mantle), the helmet, and the crest above it. 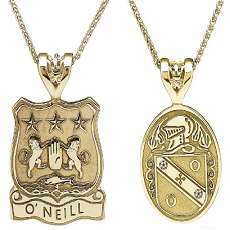 However this distinction has been lost over the centuries and today it is quite common for people to refer to the shield as the 'family crest' or 'coat of arms' as one and the same thing. It is not uncommon for words and phrases to have their meaning altered over time depending on their usage. New words and phrases are created all the time while existing words and phrases have their meanings altered. Simply put, if enough people regard a 'family crest' and a 'coat of arms' as the same thing then they are the same thing. Now there are some with a different viewpoint who would not be at all happy with this assertion and would be contemptuous of any attempt to suggest that a Family Crest and a Coat of Arms are the same thing, despite the vast majority of people regarding them as the same. Our view is that people themselves (you and me and everyone else) decide on the actual meaning of a word of phrase and we do so by our usage. Aware as we are of the historical difference between a Crest and a Coat of Arms we have no problem regarding them as being the same thing. Because that is the meaning the vast majority of people have assigned to them and for centuries. The metamorphosis of words and phrases is not something that is confined to Heraldry. No less than the Oxford Dictionary has changed the definition of the word 'literally' to include its use as an emphasis rather than its actual original meaning. So the next time you hear someone say 'We were literally killing ourselves laughing' there is no need to correct them, or worry that they have died. They are not literally dead. The word 'cute' originally meant 'keenly perceptive and shrewd', now it means 'pretty' or 'charming'. The word 'nice' originally meant 'ignorant'. The word 'decimate' originally meant 'to kill one in ten', now it means 'to destroy everything'. The word 'Google' did not even exist until quite recently, same with 'Googled'. Now it is part of everyday conversation. The Oxford Dictionary editor Fiona McPherson put it better than we ever could: 'Our job is to describe the language people are using'. Quite so. Those who continue to press the now defunct and pointless distinction between a 'Crest' and a 'Coat of Arms' are somehow attempting to prevent both the passage of time and the collective will of people. Impossible. Is there a Family Crest for every Name? No there is not. However there is nothing to prevent you from creating one for your own name and either keeping it for the use of your own family or releasing it into the public domain to be used by anyone else of the same name. There are far too many names in this world with so many spelling variations and even names being newly created that they all could have a historically accurate family crest. However, if your ancestry is from a country with a tradition of Heraldry (Ireland, England, Scotland, Wales, and most of Europe) then the chances of finding an accurate Family Crest/Coat of Arms for your name is greatly improved. Even then there are countless family names, even of ancient origin, for which no heraldic design could be found. What right do I have to use a Family Crest from History? With the above in mind the answer to the original question depends very much on the country of origin. 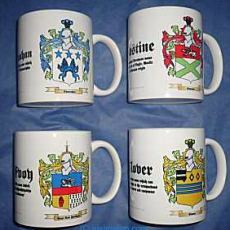 In Ireland a Family Crest can apply to anyone of a particular surname with ancestry from Ireland. This assertion was made by no less than Edward MacLysaght (1887-1986), the former Chief Herald of Ireland and one of the foremost Irish genealogists of twentieth century. 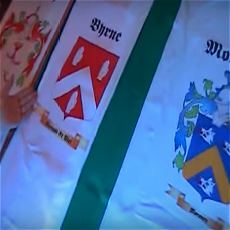 Those genealogists, researchers and academics who baldly state that 'there is no such thing as a family crest' or 'a coat of arms is proper to an individual only' are just plain wrong and do the subject of Heraldry a disservice by perpetuating this myth. These historical artifacts can apply to a family rather than just an individual. 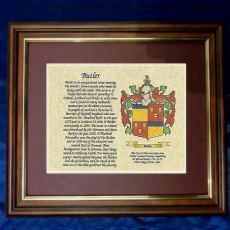 Family Crests do exist!